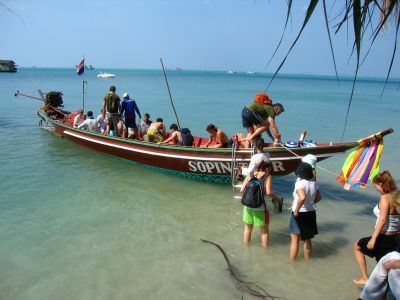 2005. i started it feeling like hell from the celebration of it but it's easy to recover when you are on a beautiful tropical island in thailand and are staying at a gorgeous seaside resort for practically nothing. here is the pool of my place right on the beach. i recuperated at poolside by drinking pineapple shakes and talking to my friends who all had the same hangovers. a boat moored just off the coast in front of my place. 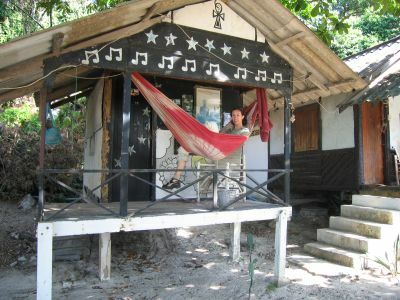 dori hangs out in a hammock in front of her bungalow. 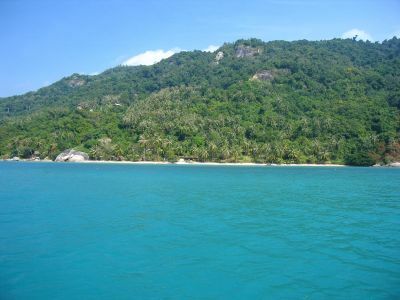 the beach on koh phangan. 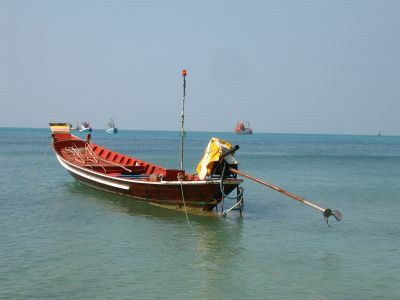 the black line is used to tie ships to the shore. niccola, steve, angela, and i went on a boat tour around the island. here we are boarding the ship. 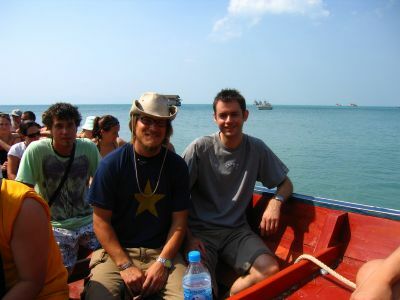 steve and i, the chosen ones, on the boat. angela and niccola on the boat. check out that tropical water color. 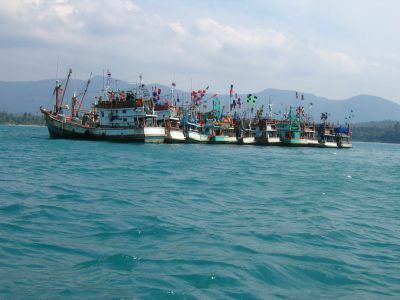 fishing boats all tied together out in the gulf of thailand. niccola and i sitting on a fallen coconut tree on a secluded beach about to eat lunch. 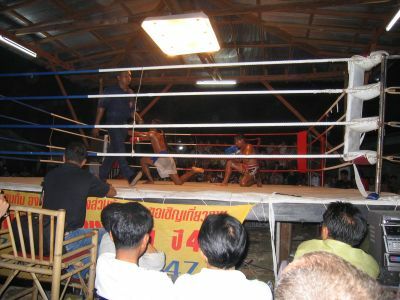 at night we went into town to watch 9 muay thai boxing matches. 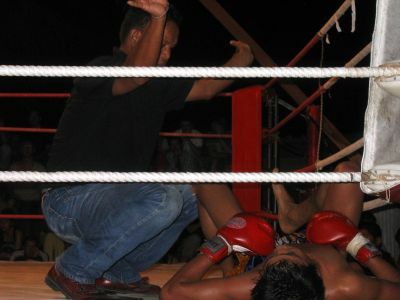 muay thai boxers are considered the most ferocious fighters of all martial arts disciplines. they throw knees, elbows, fists, and legs at their opponents. it was fantastic especially with ringside seats.